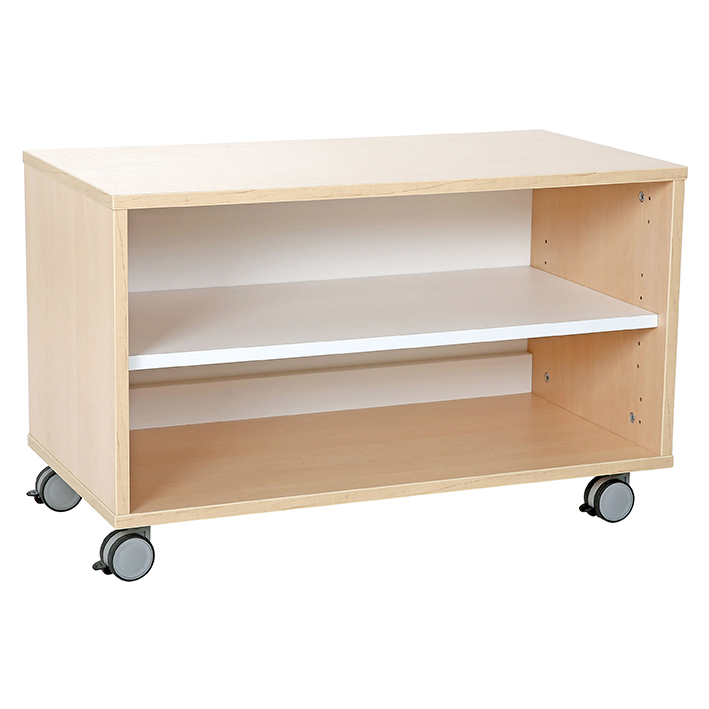 This versatile piece of furniture can be used as a small mobile classroom cabinet (lockable castors) – or can be converted (with fabric overlays) to be a either a role play kitchen or drive around town/garage workshop. Manufactured from 18mm maple and white melamine faced board. Supplied flat packed with easy to follow assembly instructions.